Every summer in August when I was young, we’d travel from Virginia to Iowa to visit our grandparents who lived on an Iowa farm. I have many vivid memories of their farm; one is of the corn–a memory also shared by my cousins. 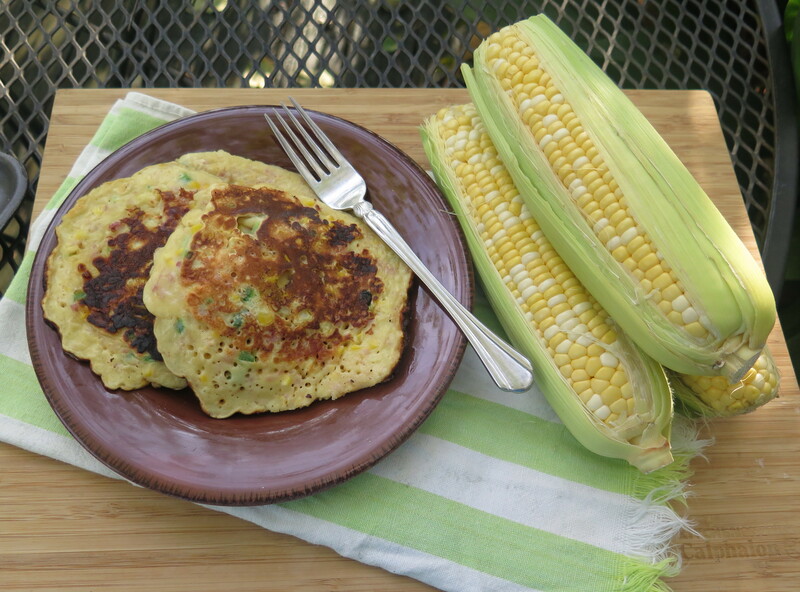 We joked that corn was served at every meal: corn on the cob for lunch and supper and a corn dish at breakfast, too! Nothing is better than a sweet, juicy ripe peach in the summertime. 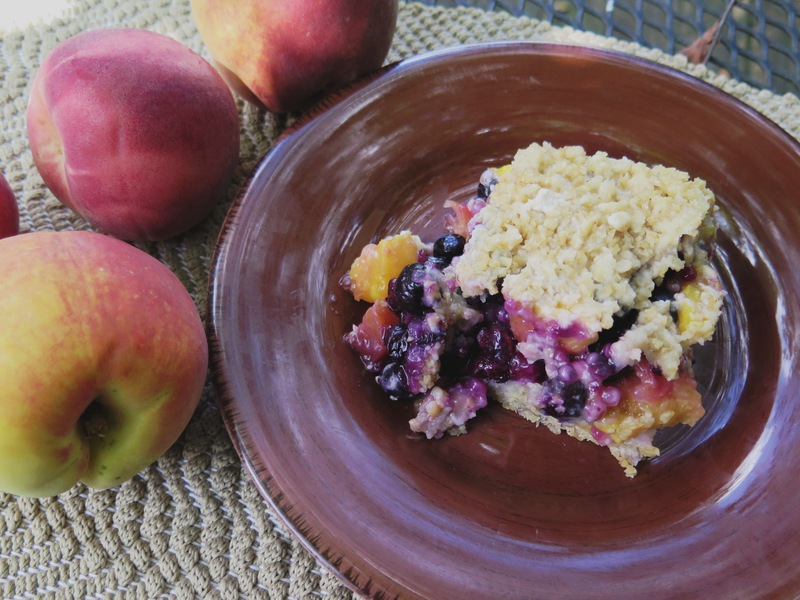 I combined steel-cut oats in a crust and topping with two of my favorite summer fruits–peaches and blueberries–for a quick and easy “crunch-type” dessert.